I mentioned in my previous post that I was feeling the need to go off in search of some very limited adventure on trip. The only real issue I’ve had with this trip was that we’re basically stationary. It’s relaxing, but compared to most of our prior journeys – not what we’re used to. When Ariel and I were in Tahiti (our last non-adventure vacation that nonetheless included three island changes and a few days in a hut with no power or connection to the outside world) we learned about a specific fish that lives in the tropics. Nothing better than the open seas. Only available in warm waters like there are near French Polynesia or the Caribbean, parrotfish are not sold in the United States at all. This is due to their importance in maintaining tropical reefs and coral. In many countries it is illegal to fish for them commercially so it’s really not so easy to get. Still… this was one extremely tasty marine animal so if it was available I wasn’t exactly going to say no. The resort did not have this on the menu (although it’s not illegal to catch in Jamaica) so I asked around if there was any available elsewhere. 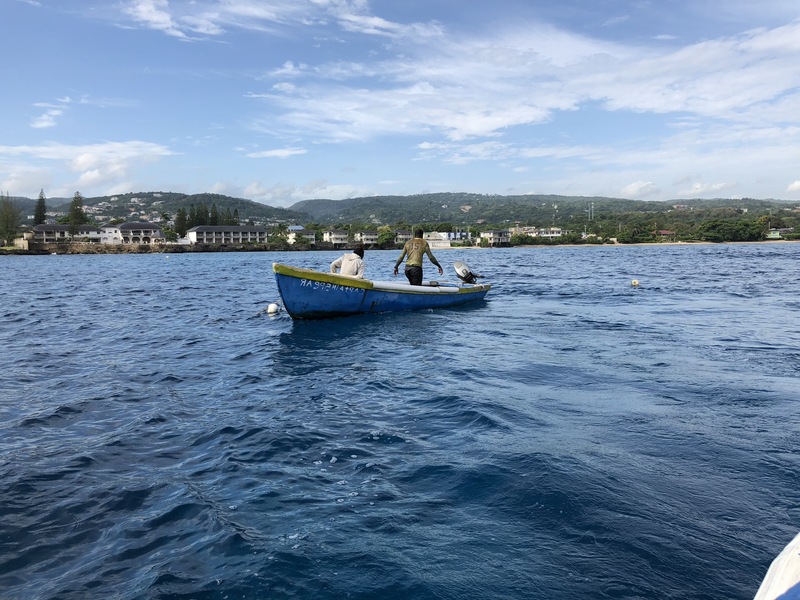 Based on intel I gathered, I learned that there are local fishermen who set out nets right in front of the resort every morning. 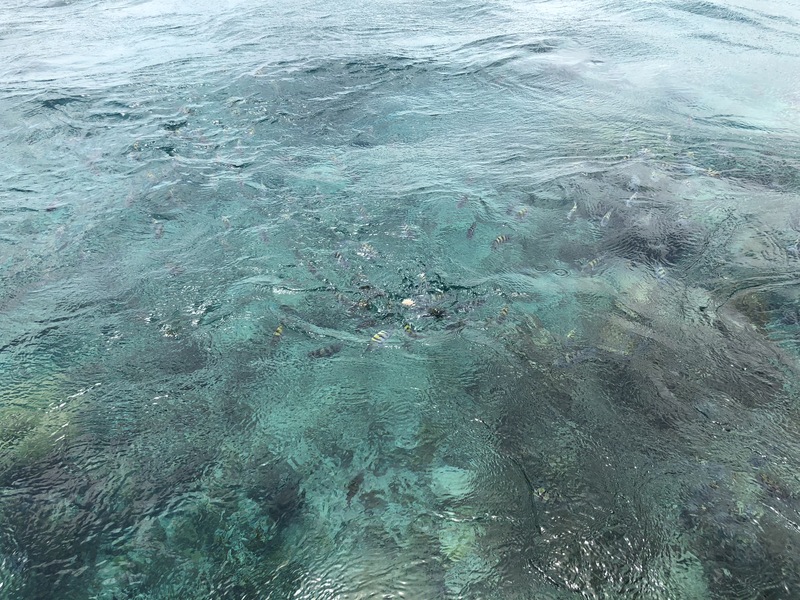 The nets don’t exactly differentiate between fish species so they often catch parrotfish. If I wanted, the glass bottom boat guide offered to take me to meet them and see what they had to offer. …and no bags at this checkout line. After being turned away from the first boat we pulled up to, we passed another boat that appeared to be empty. 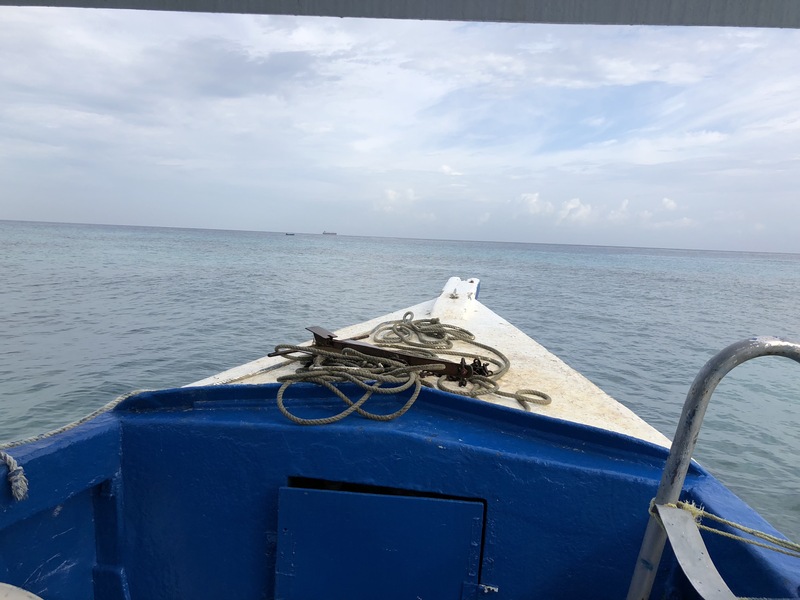 Not to be deterred, we continued sailing in the direction of a snorkel diver. The fisherman was spotted at last. Having a conversation with a dude in a diving suit and snorkel, while he’s literally holding a net full of fish that I’m about to purchase was surely an experience. He told us to follow him back to his boat where he got out and dumped his catch for the day. 10 fish, of which four were the fish I had been looking for. I took two for Ariel and I, one for the captain and one for the nanny. The reward for this little extra added effort was a real delicacy. 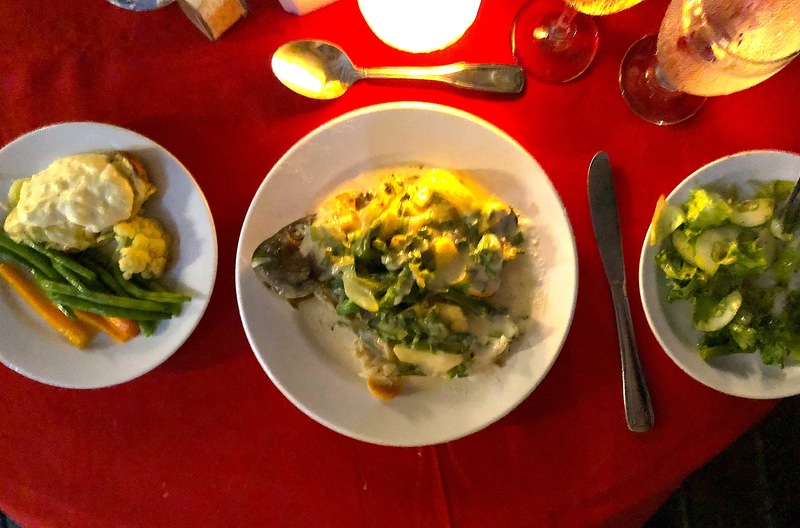 The best fish we have eaten since Tahiti – literally something I wasn’t sure I would ever experience again in my life. 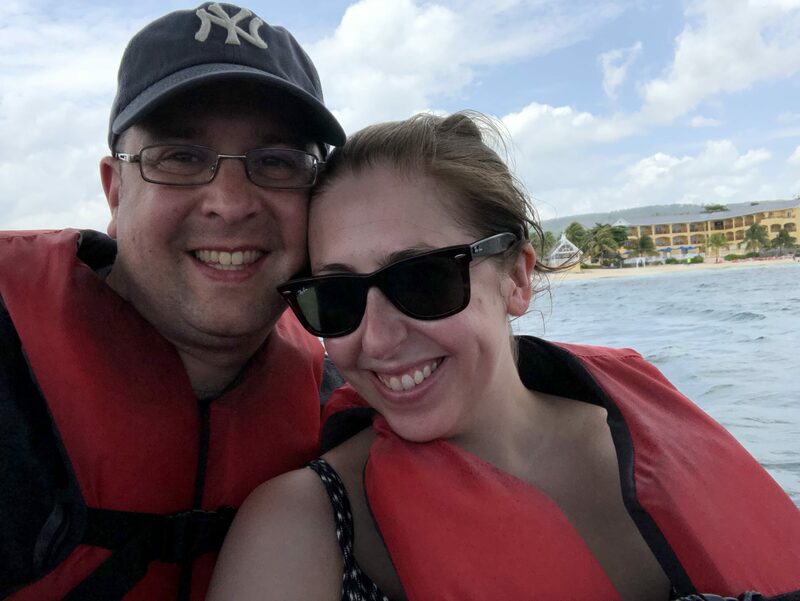 And because Ariel is also a boat fan (I love boats, without a doubt my favorite form of travel) we then decided to go on a glass bottom boat ride around the reefs off the coast of the resort. Life’s always better on a boat. It was a fun ride and we got to see a little of the surrounding coastline. And the glass bottom was cool too. Whenever you have a chance to visit a coral reef, do it. Look, in my travels I really try not to mess with the natural order of things. I get that parrotfish (while not an endangered species), especially in the Caribbean, should be left mostly undisturbed for the good of the threatened coral reefs. 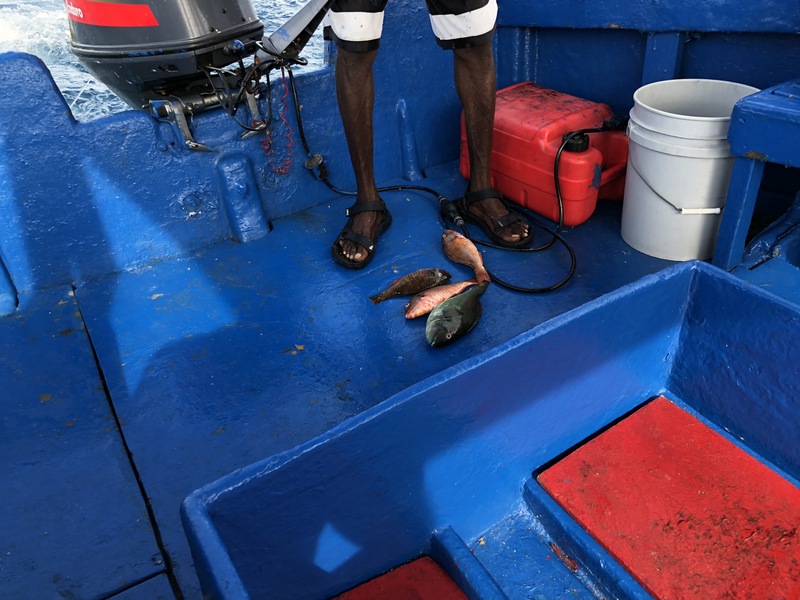 But everything I read online said the solution to the problem was to only catch parrotfish that were bigger than a foot long (so as to allow them time to live for a while and do their thing). These fish were definitely bigger than a foot long. And besides, they were already dead. So what were we to do, just throw them back in the ocean? Finally, we bought these from literally a guy in a snorkel suit who picks up his 10 fish or so every few days. It’s not like this was some massive commercial operation. These guys are going to do what they’re going to do whether I’m there or not. And directly supporting the locals is something I DO try to do as often as I can on my trips. Still, I feel a little conflicted. To be sure, I would not have done this more than once over the course of our stay. So if you are going to eat parrotfish (or any other species that you probably shouldn’t be eating), please practice some self-limitations. And get educated on the matter before deciding how you feel about eating parrotfish.